It's quiz time again! Yes, we're back with another of our stonkingly good quiz nights on Friday, 15 June, as a fundraiser for our building repairs. Doors open at 7pm for a 7.30pm start. Tickets are £12 each and include a fish & chip supper and homemade dessert (currently, we're debating between the drunken berry and white chocolate trifle that went down well at the Friends' last history night, or that Summer classic, Eton Mess). There's a raffle, prizes, and licensed bar, plus the enthusiastic and ever-resourceful Fr Robert Easton from Brighton College is back as our quiz master. Make up a team of 6 or else take pot-luck with some of our quiz veterans. We're all good fun, we promise! To book, please email us here - and remember to indicate if you'd like a vegetarian meal or have any other dietary requirements. We'll do our best to accommodate you. The church is wheelchair accessible, but we occasionally have problems fitting larger mobility scooters on our stair lift, so please do call 01273 698601 in advance if you should have any access concerns. Happy dogs on a lead welcome too! It’s been a busy start to the year at St Mary’s and it just gets busier, especially with the impending launch of Phase II repairs to the south exterior (facing the sea). Looking back over 2017, the Friends continued its fund-raising activities, with two quizzes and an inspiring talk on the area to the East of St Mary’s by Brighton historian Dr Geoffrey Mead. 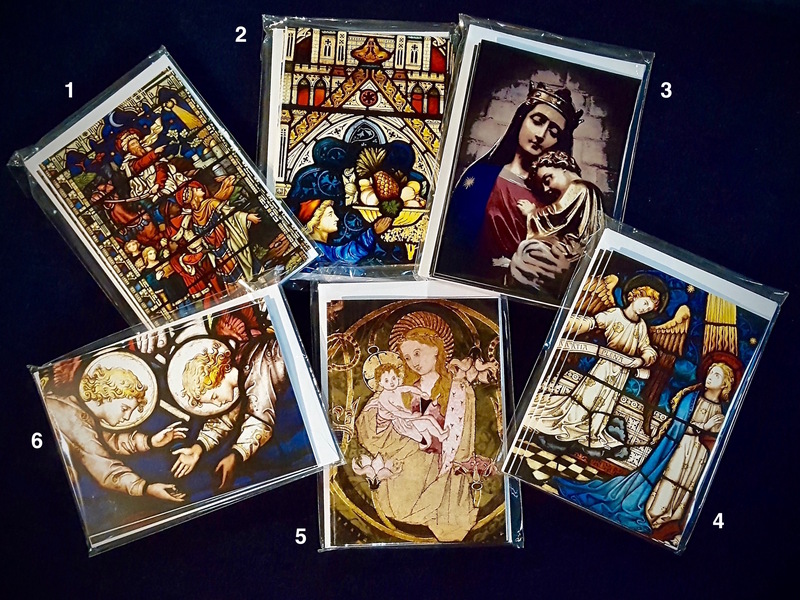 We also organized a grand Friends' day out at Parham House, and produced the now-traditional set of Christmas and greetings cards using images largely taken from the church’s stained-glass windows. Looking ahead to 2018, we have a number of fund-raising activities planned, aimed at generating the funds to replace the masonry 'eyebrows' (hood mouldings) over the five small nave windows on the west side of the church. Although included in the large-scale works carried out on the West side in 2016-17, this job had to be deferred after it was found that the main transept gable needed much more work than had been originally thought. Quite simply, we didn’t have the money to do everything originally programmed! But the stone for the 'eyebrows' has been cut, and the Friends aim to fund the work to set the stone in place, at a cost of about £3,000. Not only will replacing the stone improve the external appearance of the west side; it also has a functional role in protecting the windows and sills below from rainwater. Brighton Before the Pavilion: an evening with historian Dr Geoffrey Mead, in the church hall on Friday, 13 April at 7pm for a 7.30 start. The church will be open for visitors from 6:30 pm. Tickets are £12 and include a fish & chip supper. Licensed bar. Please book by 11 April so that we can organise the catering. A Midsummer Quiz Night and Supper on Friday, 15 June. The latest of our very popular quiz nights, compèred by the incomparable Fr Robert Easton. The usual 7pm for a 7.30pm start. Tickets £12, to include supper. Licensed bar. Please book by 12 June, again so that we can organise catering. An India evening with Dr Katherine Prior, author of Maharajas' Jewels, who will give a talk on St Mary’s and Brighton’s wider connection with the sub-continent. This will include supper provided by Kemp Town’s own Curry Leaf Café – an opportunity to savour the peerless authentic cuisine of this local jewel, which has a very soft spot for St Mary’s. The date: Friday, 21 September at 7pm for 7:30pm. Licensed bar. Now to you, our Friends of St Mary’s. Your help is vital if this lovely building is to survive and thrive and serve Kemp Town and the wider community. For starters, could you please renew your annual subscription to the Friends (£10/year - see payment details below), if you haven’t already done so. Equally, come to the church's events, such as the free Saturday evening recitals. These last around an hour, and are followed by complimentary drinks and nibbles (the home-made cheese straws have their own fan club), with a chance to chat with the musicians. These recitals are one way of reaching out to our community and giving people who might not be able to afford the cost of a regular concert ticket a chance to hear fine music in a majestic setting. They often feature the magnificent Bechstein piano that the Friends have helped to fund, while the retiring collection taken at the end of the recitals also goes towards the St Mary’s piano fund. The first one, Caprices and Laments, by cellist Ivana Peranic, is on Saturday 14 April, at 6pm. See here for more recitals in the series. Also, please think about joining the Friends' Committee if you can, and help drive the Friends’ work to greater heights with your ideas and energy. Or perhaps you could volunteer to help with catering etc., at specific events? New Friends' Christmas Cards on sale now! The Friends have produced eight new printed greetings cards in time for Christmas. Most feature details from the church's stained-glass windows, but there is also a rather lovely image of the needlepoint hassocks or kneelers that are such a feature of the church. Four of the cards have a Christmas message inside, which reads: 'May the peace and joy of Christmas be with you today and throughout the new year'. The other four have been left blank for round-the-year use. 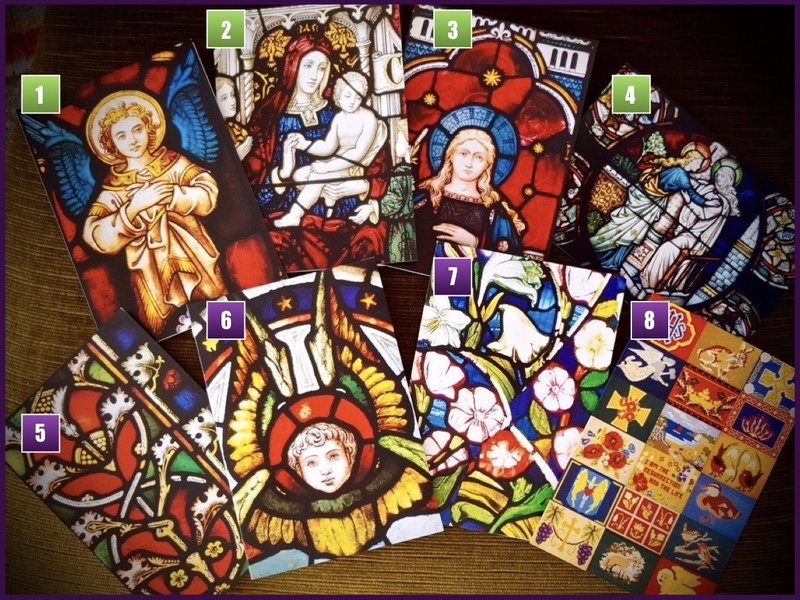 The cards cost £5 for a pack of six - and mixed packs are available. You can buy them from the church during our normal opening hours or else order them by email. We will add on £2 packing and postage costs for an order inside the UK and let you know the total sum and how to pay. The cards are numbered on the image to the right. Click on the image to enlarge it, tell us which ones you would like and we will do the rest. We also have a few cards left from last year (see the image to the left), so you can add some of those to the order if you would like as well. No. 2 in this set is blank. The rest have a Christmas message. The proceeds from this year's sales will be helping to reinstate the pink sandstone hood mouldings - or 'eyebrows' - over the exterior of the five small windows in our west-facing transept. These were shaved off in the 1950s, leaving the windows (now newly repaired) vulnerable to rainfall and pigeon guano. The work is going to cost about £5000 and we hope to complete it early next year, adding the final touch to the church's recent facelift on its Upper Rock Gardens elevation. The Friends of St Mary's are back with another of their rollickingly good quiz nights, led by irrepressible quizmeister Fr Robert Easton. These nights are incredibly good value as well as good fun. A fish and chip supper is included in the price, along with a rather superior homemade trifle for dessert. Plus there's a licensed bar, raffle, prizes and all the usual St Mary's hilarity. Make up your own team of six or else come along and take potluck with the some of the great quiz brains that hang out at St Mary's. Tickets £12 - please email the Friends to book. Please also let us know if you would like a vegetarian meal or gluten-free batter on the fish. NB. There will be no actual fireworks, so it's safe to bring your dog along as well, especially as the raucous laughter will help to muffle the sound of any big bangs in the neighbourhood. Thank you to everyone who joined in with this super Burns Night Supper and Quiz, and especially to Quiz maestro Fr Robert Easton for dusting off his Erskine heritage to tax, stretch and entertain us with all manner of things Caledonian. The catering - shepherd's pie, neeps, tatties, haggis & whiskey, and stupendous trifle - was excellent. It was a good night on the fundraising side of things too. The Friends raised a little over £500 after costs, which they are putting towards the cost of St Mary's newly reconditioned 1904 Bechstein grand piano. If you attended the quiz, do come along to one of our free concerts to see - and hear - what your efforts have helped make possible. Hard on the heels of our quiz night, we're delighted to welcome local history specialist and urban geographer Dr Geoffrey Mead to the church hall for an illustrated talk on the intriguing history of the area to the east of St Mary's. Despite the slum clearances, bombings, and high-rise rebuilds of the 20th century, this densely populated bit of Brighton still shows traces of the old pattern of ancient field systems. Tickets £12 per head, including fish-and-chip supper. Licensed bar. Email the Friends for more info and to reserve a place. Please indicate if you would like a vegetarian supper. The picture comes from the Regency Society's James Gray Collection (Ref. 22-47) and shows slum housing from the 1830s in the very narrow Laurel Row that ran between Lavender Street and Upper Bedford Street. It was demolished in 1935. If you click on the image it will take you to the Regency Society's album of photos for the whole area east of St Mary's - a fascinating collection. Christmas Cards 2016 - Thank you! Thank you to everyone who helped in the production, sale and purchase of our six lovely Christmas cards for 2016. They'll be back next year, with some new designs and repeats of the old favourites. They may be joined too by a few other souvenirs of St Mary's suitable as Christmas gifts. The Friends are mulling over the possibilities of a calendar, mugs and teatowels. Watch this space! Since their foundation in 2014, the Friends have funded a new cover for the grand piano and, in 2015, paid well over half the £7000 cost of a replacement organ blower. 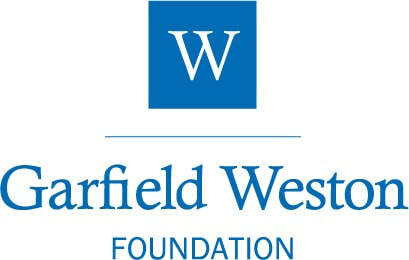 This year the Friends’ fundraising focus is on the Soames Window on the west side. 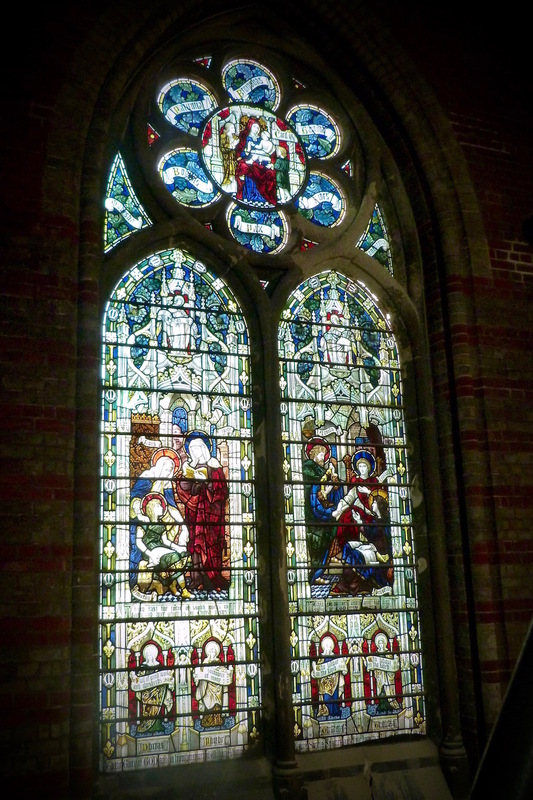 Made by James Powell and Sons in 1897, the window is a memorial to William Soames, founder of Brighton College, and to his daughter Laura Soames. She had been a pioneer in phonetics and a member of the Brighton Schools Board, and this is reflected in the window's depiction of seven women teachers and leaders of the early church featured in the New Testament: Lois, Eunice, Priscilla, Dorcas, Phoebe, Tryphena and Tryphosa. In 1993, a conservator's report stated that this was the most vulnerable window in the church. Previous repairs have included using different types of glass and even trying to match colours with a marker pen. The stone work around it is severely eroded. From May 2016, three windows on the west side will be removed, cleaned and repaired while essential work is undertaken on the stone and brickwork through a major Heritage Lottery Fund (HLF) financed campaign of repairs. As part of the HLF's match-funding requirement the Friends have set the target of raising the £5000 needed to repair the Soames Window. Once the repairs are completed, the Soames Window will be a luminous source of inspiration to people inside and outside the church. You can read more about the window here, and link to a form for donating to the Friends' Appeal here. 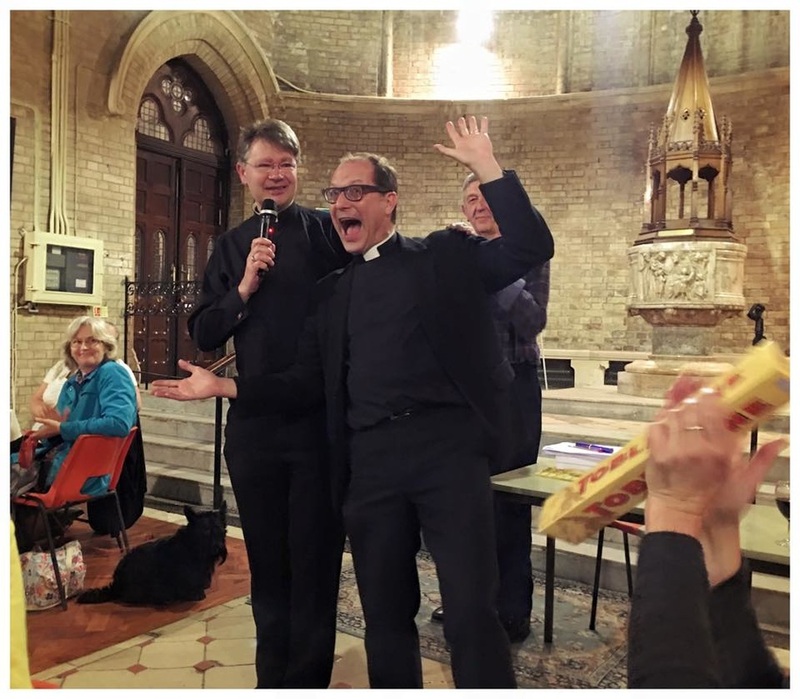 The Friends of St Mary's held their first quiz night on Friday, 17 June and raised not only a ton of laughs but almost £700 to go towards the repair of the Soames Window. ​Huge thanks to everyone who helped with the organization and catering, those who came along to join in the fun, and, especially, the wonderfully jolly and erudite Fr Robert Easton of Brighton College, who was our genial and inventive quiz master. 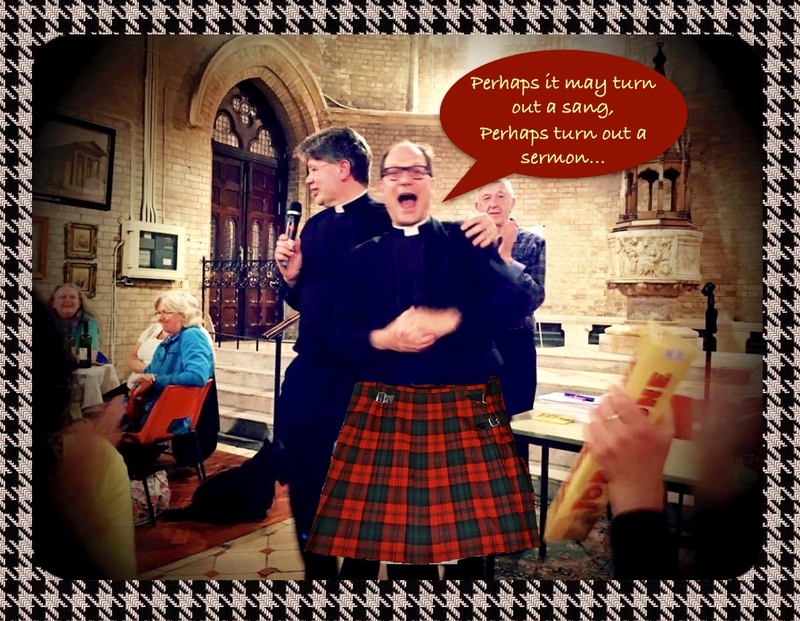 (Thank you to the Four Dodgy Ladies and a Vicar Team for the delicious photo of Fr Robert in full flow!) We've already had requests for more, so please keep an eye on this page to see when the next one is coming up. We're thrilled to announce that our Michaelmas Fair on 3 October 2015 raised over £3000 for the Friends of St Mary's. It was a great effort, ably led by congregation member Ann-Marie. We're so very grateful to her and to everyone who donated goods for sales, prizes, and their time and energy to the fair. Especially to the heroic army of raffle-ticket sellers - well done! And we're equally grateful to everyone who came along and bought things and gave the day its buzz. The fair was officially opened by actor and screenwriter Stephen Churchett (currently starring as 'Marcus the solicitor' in Eastenders) and he also drew the raffle for us at the close of the day. Thank you again, Stephen; we really appreciated your time and kindness. As well as the money raised - which all goes towards repairing and improving St Mary's for wider use by our local community - we were delighted to welcome so many first-time visitors to the church. We really want the people living and working around St Mary's to see it as a community resource. This link connects to a photo album with some images from the day. The proceeds from the fair were put towards the Friends' substantial contribution (£4000 +) to the replacement of the old organ blower at St Mary's, which was carried out in February 2016. Fine wine tastes even finer in the company of friends and in glorious surroundings, which is why the Friends of St Mary's were delighted to host a Spring Wine Tasting by Butlers Wine Cellar at St Mary's on Friday, 17 April 2015. This was the Friends' first organized fundraiser and was a great success, along with being rather a lot of (bibulous) fun. There were six wines on offer, all introduced by the hugely entertaining (and knowledgeable!) Henry Butler. One of the offerings, selected in honour of the venue, was Butlers' luscious Lacryma Christi (Tears of Christ) from the slopes of Mt Vesuvius. There was also some very good bread and cheese to pair with the wine and some beautifully soothing Chopin from our long-standing pianist friend Asami Nishimura to ease away the cares of the working week. Butlers bore the cost of the wine and food, donating £5 from each £20 ticket to the Friends of St Mary's for the restoration of the church building and its beautiful fittings and furnishings. The evening raised over £250 for the Friends and prepared the ground for future, bigger events of this kind. 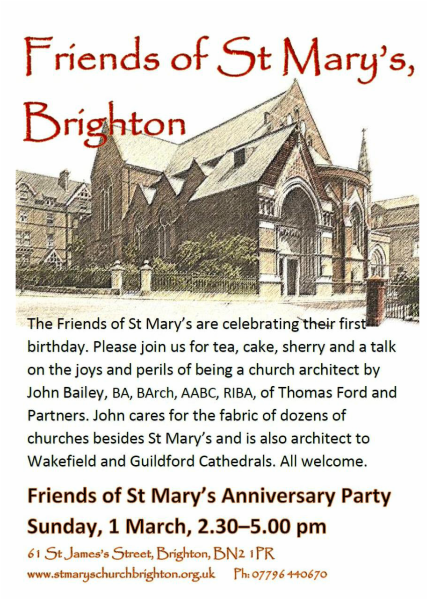 The Friends of St Mary's is nearing its first birthday and we are inviting everyone to the party at St Mary's on Sunday, 1 March at 2.30 pm. We will begin with a short meeting at which we appoint officers and committee members for the year ahead. People who would like to serve on the committee (or are curious to know what it might involve), are invited to contact the Friends Treasurer, Richard Stephenson, by Monday, 16 February. After the committee business, the Inspecting Architect at St Mary's, John Bailey of Thomas Ford and Partners, has kindly agreed to give us a talk about the joys and perils of being a church architect. John cares for dozens of churches all over England as well as Wakefield and Guildford Cathedrals. 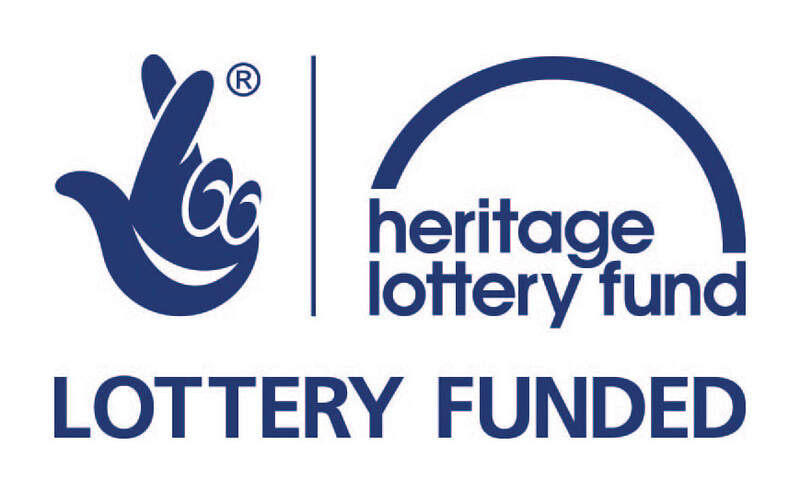 In the short time he has had St Mary's on his books, he has focused our attention on essential repairs and provided invaluable advice on how to frame a successful grant application to the Heritage Lottery Fund. At the time of his talk we expect to have an impressive 50-foot scaffolding arch inside the church; this will be the first fruit of that grant application and thus a fitting backdrop to his words. After John's talk, we will be serving afternoon tea with some rather fine cake, sherry and madeira. Please join us and please feel free to bring any interested friends. If you were one our first Friends you will be able to renew your membership at the party.